How important is Standby Home Generator Maintenance? Power outages are beyond your control, but how you prepare is not. You were smart to get a generator to protect your home, your family or your business. The worst thing that can happen is that when you actually NEED IT, you discover it's not working! You bought a generator as a back-up power supply; are you sure it's running properly? 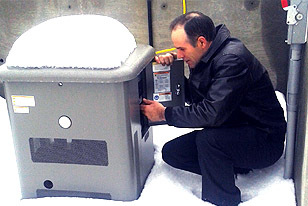 A broken generator is a MAJOR PROBLEM and RISK to a homeowner. The reason is simple. You assume you're okay in the event of a power outage. If your generator is not working properly it can pose numerous problems; the very problems you sought to avoid by having a generator in the first place. Remember ... Your Standby Generator is Only Valuable if it's Working Properly! Knowing the causes of generator power problems can help you address any issues before an emergency need arises. Don't let time or procrastination put you and your family at risk. Have your generator checked regularly.